When setting up my Windows Media Center solution the primary goal was access to my DVD movie library. Getting access to my music was a “nice to have” feature, but not really required. Since then, I’ve figured out how to get iTunes music (AAC, M4A, Apple Lossless) to play natively in Windows Media Center, but my other DLNA media devices - Playstation 3, Xbox 360 - still couldn’t play that music because Windows Media Connect, the thing that Windows Home Server uses for UPnP media sharing, is an older service that doesn’t understand those formats. Some folks have solved this by doing a sort of hacky upgrade to Windows Media Player 11 (which is not supported on WHS, but enables more file formats to be shared). One of my big goals with Windows Home Server (and my media center solution in general) is to not hack around on the thing. I want a polished, appliance-like experience. I want support. I really don’t want to have to mess around with tweaking this and fixing that just to get things working. I get to do that all day at work; at home I just want things to behave. To that end,I’d all but abandoned the idea that the Xbox or PS3 could share my music until I foundAsset UPnP. Asset UPnP is a Windows Home Server add-in that enables sharing of virtually every kind of music format out there. The really cool bit is that it can transcode formats that your player doesn’t support into either Wave, LPCM, or MP3 format so your DLNA player will understand them. We Got ServedandHome Server Plushave some good discussions about the functionality of the server and how it works, at least for version 1.1. The Asset UPnP page also has some good screen shots showing how to set things up and what your options are. I won’t duplicate all of that here. What I will tell you is how to get things working with your Playstation 3 and Xbox 360. Get your metadata in order. Asset UPnP makes a lot of use of metadata tags - artist, album, album art, etc. - to generate the hierarchy you can browse to get to your music. Getting this right will make it far easier to find your music through your player. Install version 2 of Asset UPnP. As of this writing, version 2 is in release candidate status but it has some features and bug fixes that version 1.1 doesn’t have that you’re going to want. I didn’t bother with version 1.1 and have found the RC of version 2 to be nice and stable. You can get the installer from the Asset UPnP page. Make sure you download the Windows Home Server version and not the standalone version. Use the “Force Streaming” function for unsupported formats. You can get to the advanced configuration screen by seleting the “Edit Advanced Settings” button on the main WHS plugin control panel for Asset. Select the AAC, M4A, M4B, and MP4 formats for iTunes music (that’s what I was working with). If you have FLAC or other music that isn’t supported directly by your player, select those formats, too. Now the tricky part is to pick which format to stream the selected items in. For Playstation 3, select Wave. For Xbox 360, select LPCM. Unfortunately, Xbox 360 does not understand the Wave streaming and Playstation 3 doesn’t understand LPCM streaming. That means you can’t have both players working at the same time. At least, not right now. I don’t know if a fix is planned for a later release or not. If you are using Asset UPnP version 3, select 256kbps MP3 streaming and it will work with PS3, Xbox 360, and Android DLNA clients. Once you’ve got that set up, Asset will restart itself and you should be able to use your player (PS3 or Xbox 360 or whatever) to play your whole music library. If that’s good enough, you won’t have to mess with adding codec support to Windows Media Center. UPDATE 9/26/2010: I posted an article explaining how to get your iTunes or Windows Media Player playlists into Asset. If you’re interested, check out that article. 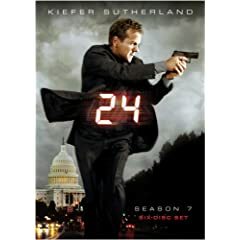 Saturday marked another 24 marathon, this time for season 7. As with last time, my dad and I made it all the way through while Jenn missed the last couple of episodes. We started at 8:00a on Saturday and finished up just after 1:00a on Sunday. I thought this was a pretty good season. I still think season 2 is my favorite, but there were plenty of twists and turns in this one and I enjoyed seeing some of the characters from previous seasons return. I maintain that this is really the only way to see it - in a marathon - since there is so much going on you really can’t track it all if you’re waiting a week or more between episodes. Plus, the commercials - I mean, that’s seven hours of commercials over the course of the season that we didn’t have to deal with. Assuming there’s not another writer’s strike and that Kiefer Sutherland doesn’t land back in jail, I’m looking forward to doing this again next season. We didn’t get a marathon last year and I kind of missed it. Typemock is hosting a free online seminar on August 11 to show you how to unit test legacy/existing code. It’s free, and these are usually pretty good, so if you have to work with existing code you can’t modify but want to test, head over there and register. My birthday was last week Thursday and I had some PTO to burn so I decided to take Thursday and Friday off. Four day weekend, right? It actually sort of started Wednesday when my team at work brought in a black forest cake and we had a mini-celebration in the afternoon. Nice. 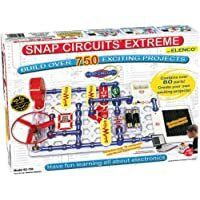 750 projects to help you learn about electronics. I’ve been wanting that for a while since I’m not really “electrical engineer” inclined and it’s pretty awesome. Later that day my parents came over, Jenn got off work early, and we went out to lunch at Red Robin. After lunch, we saw The Hangover, which was pretty damn funny… and just a little gross in parts. We ended Thursday with a tiramisu we picked up at Haggen. Friday was a pretty relaxing day where I took care of a few chores (like cleaning up the office) that I’d been wanting to get to and I started playing Dead Space on Xbox 360, which is a pretty freaky game I got from my friend Jason. Sunday Jenn and I finished up the weekend by going to see Harry Potter and the Half-Blood Prince. I’d seen it already, but Jenn hadn’t and it was nice to see it again. Plus, it was pretty hot on Sunday afternoon and who can beat the heat better than the movie theater? All in all, four days’ worth of fun and celebration, which was relaxing. Updated to NAnt 0.86 beta 1. Fixed nunitexec task to no longer output the “framework” parameter. Fixed nunitexec task to properly quote only the value of command-line parameters. Fixed alpharesx to output .resx files in 2.0 schema format.